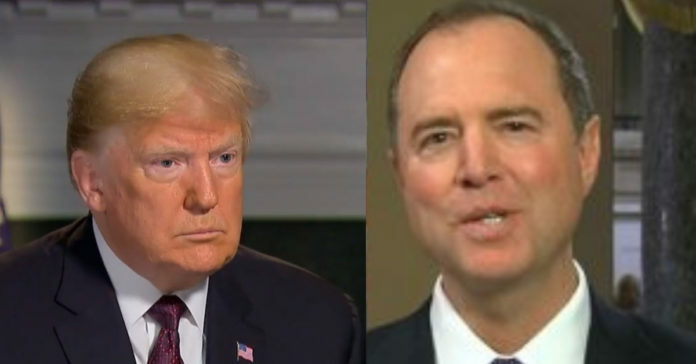 President Trump either through typo or intent has just handed Adam Schiff a brutal new nickname and Adam Schiff’s furious. Rep. Adam Schiff (D-Calif), the likely next chairman of the House Intelligence Committee, said Sunday that Democrats will challenge the appointment of new acting Attorney General Matthew Whitaker. “Yes and yes,” Schiff told ABC’s “This Week” when asked if Democrats would push back against Whitaker’s appointment and if he is still concerned that he poses a threat to special counsel Robert Mueller’s investigation into Russian election meddling and alleged collusion between Trump’s 2016 campaign and Moscow. “I think the appointment is unconstitutional,” Schiff said, adding that Whitaker’s appointment has to be subject to Senate confirmation. Schiff said that succession statute cannot be preempted by presidential appointment. “So it’s a flawed appointment, but the biggest flaw from my point of view is that he was chosen for the purpose of interfering with the Mueller investigation,” Schiff said, echoing claims of other Democrats. Waste, fraud and abuse: Don Jr. cost taxpayers nearly $100,000 for a trip to India to sell Trump properties.